The village of Jalbire, Nepal, is full of survivors. When the massive earthquake of 2015 hit the country, 90% of Jalbire’s homes were destroyed, devastating this community of 1,500 people. Once the dust settled, they wanted to rebuild in a way that would withstand future disasters, but they lacked the knowledge and training to make that happen. Most, moreover, didn’t think it was possible to find materials for homes that wouldn’t crumble in an earthquake. When our team visited the area two years after the earthquake, many people were still living in temporary shelters, with plastic sheeting. We try, in any post disaster scenario, to stay involved well after the event, knowing the impact may last for years, even decades. So while, in the immediate aftermath, we had helped provide disaster kits, blankets, clothing and other urgent needs, we had retained some of our Nepal Fund for later rebuilding projects. One of our partners in Nepal, Institution for Suitable Actions for Posterity (ISAP), told us of plans for masons’ training in Jalbire. That seemed a perfect use of our funds. 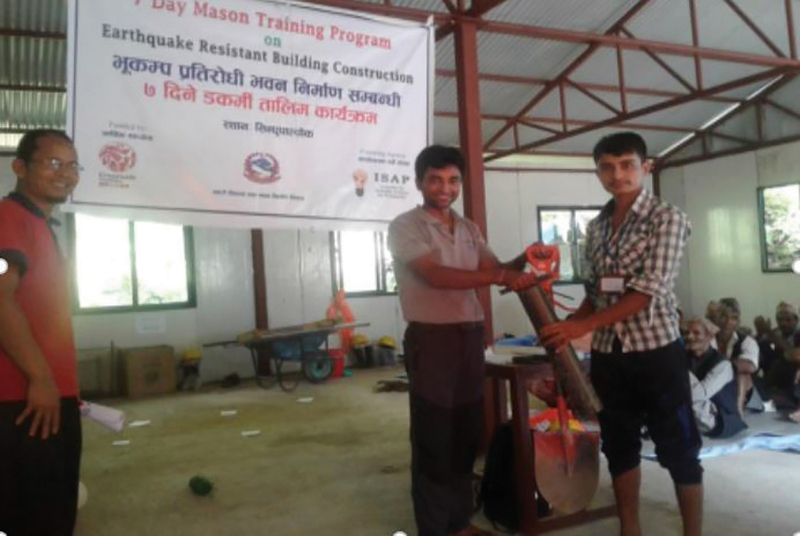 ISAP used the funding to train 33 young people in earthquake resistant construction. Graduates were given tools and they immediately began rebuilding both their own homes and others’: proof positive that local materials, used correctly, could let them build back better. And, as well as impacting the area, these individuals now have a lifelong skill-set that will help them generate income. So it’s a win-win, as the saying has it, with everybody benefitting. 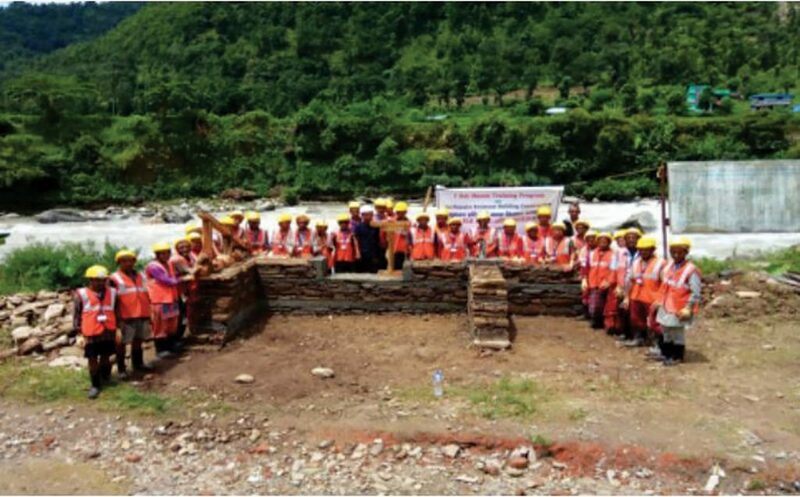 Funding from Crossroads’ donors helped 33 masons graduate with new, employable skills in earthquake-resistant construction, as well as a set of masonry tools to help them get started. Best of all, if Nature has her way again in the future, she will have a much harder time destroying these newly constructed buildings.